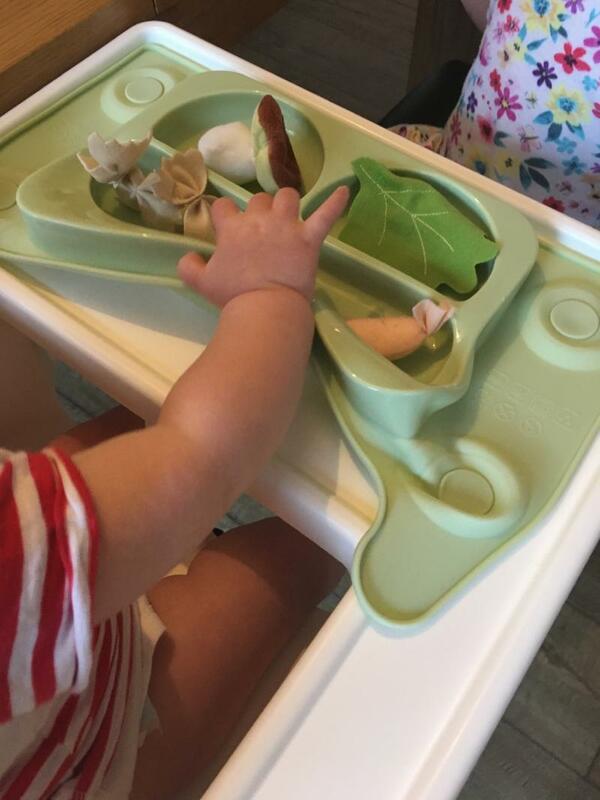 Love this product, it is so easy to clean, sticks well to the highchair and allows you to place difference foods onto the feeding tray to allow baby to explore for himself. Son has made many attempts to unstick but has yet to succeed - I am impressed with the products ability to remain stuck to the tray. Feel it was good value for money as well. It makes the food interesting for kids due to different portions in the try. 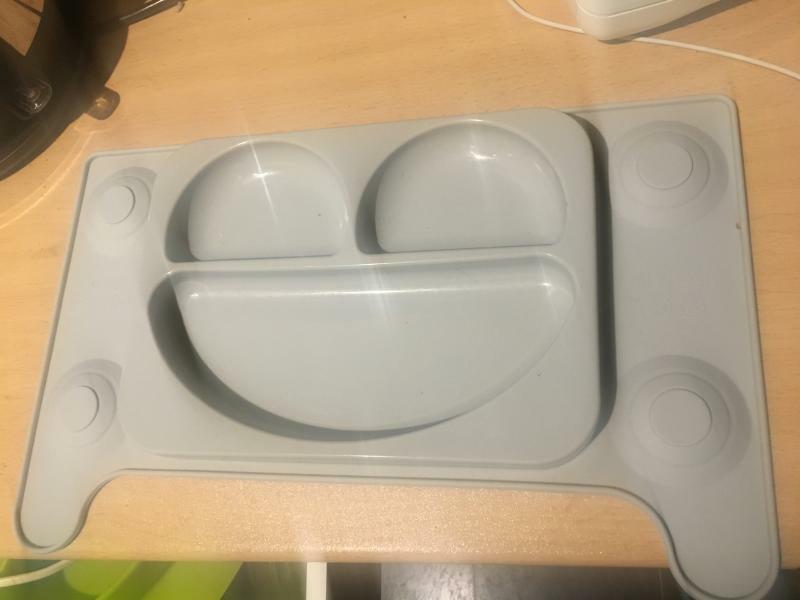 So i got this beautiful ikea antilop perfect fit tray as gift. 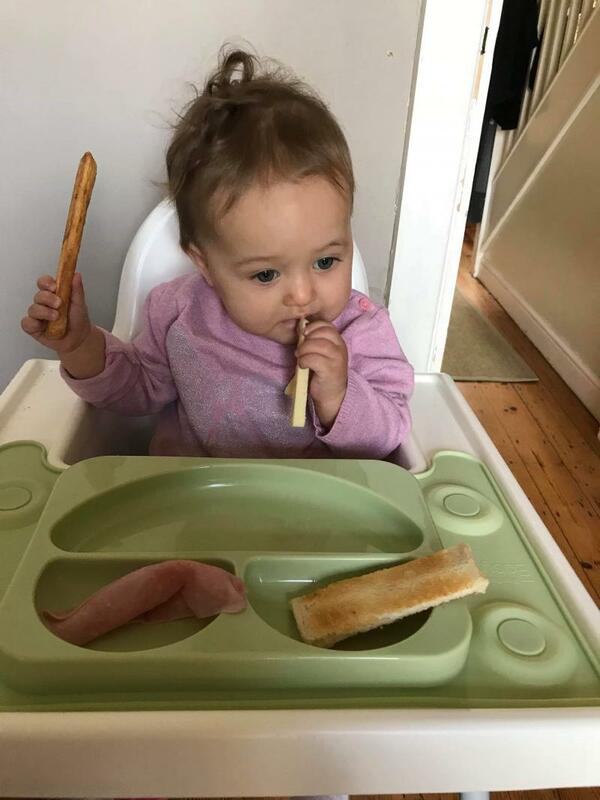 And I found it really a good product for kids.The different portions in try really encourage my daughter towads eating cause i fill them all and she tries atleast two of them. The best thing is it is made with soft material so can fold it in bag and take it with you when going out. Another good thing it is totally dishwasher safe. The only weak point I found is my daughter until one year she use to try take it off but was not able to but as she is growing now she takes it off very easily. So I think it should come with one more suction cup at the front to keep it more intact with the chair and will be vary hard for kids to take it off and throw the food. I would definitely recommend this product to the parents who have started weaning to their babies. Saw this on a friends Instagram and fell in love. We bought it in a green colour and my son loves it. He loves having his food in sections and it makes it easy for me to see portions that I am giving him. This is easy to clean and dries easy too! Would highly recommend it to anyone. 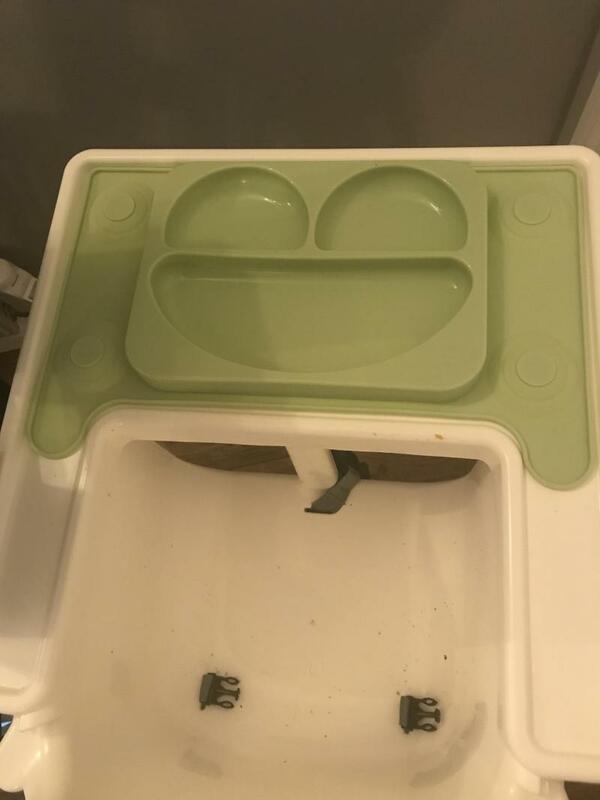 There needs to be an extra sucker at the front of the tray! I bought the easy mat perfect fit to use with the Ikea antlop highchair. 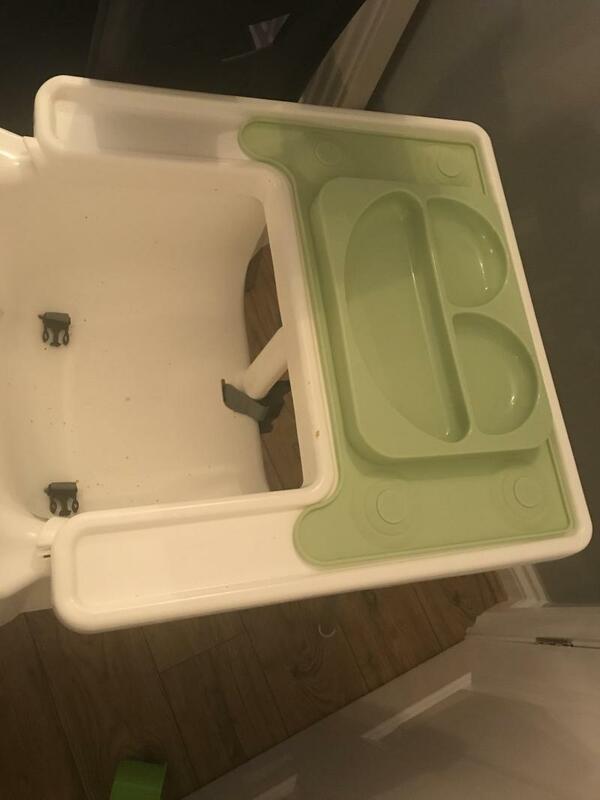 It fits perfectly covering the full tray and is impossible for a baby to pull off and throw on the floor like other plates and trays I’ve purchased! It can be cleaned in the dishwasher and doesn’t stain. It is easy to fold up and take out to restaurants etc. 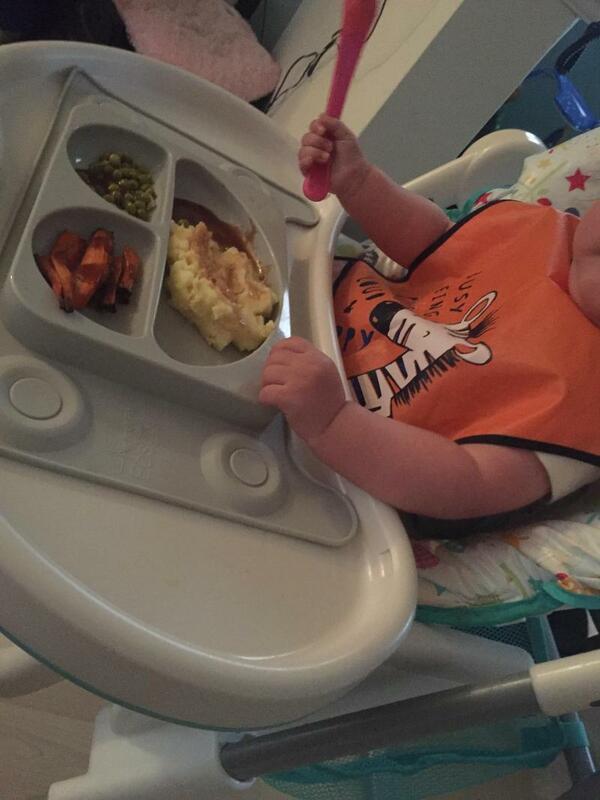 Another great thing about the plate is that it’s wondefuk for baby led weaning. 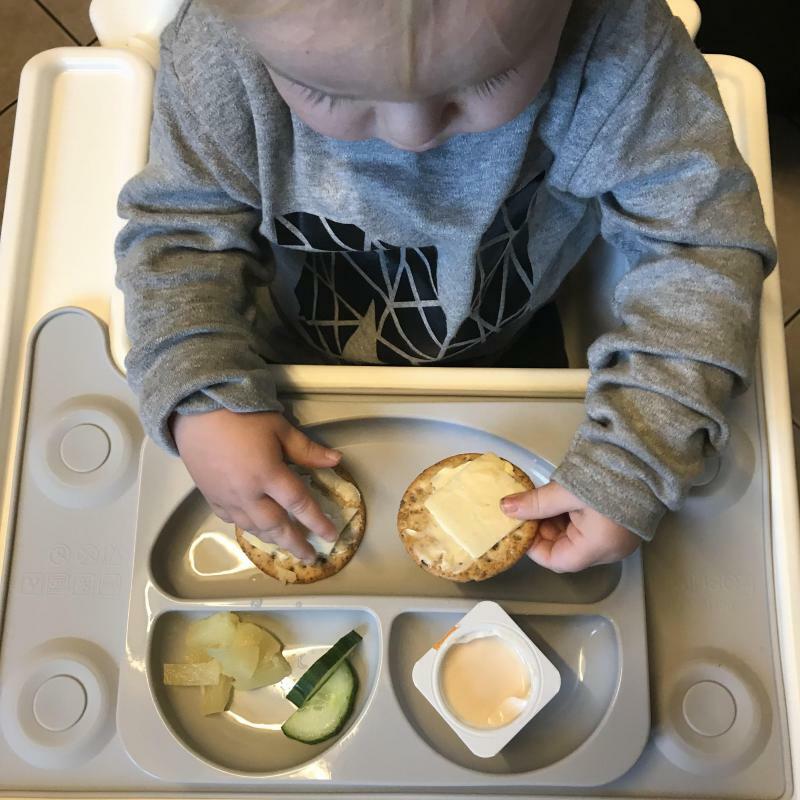 My son likes the different compartments and it allows him to identify each food and choose what he he would like to eat. I really like this product and bought the pink one for my daughter. 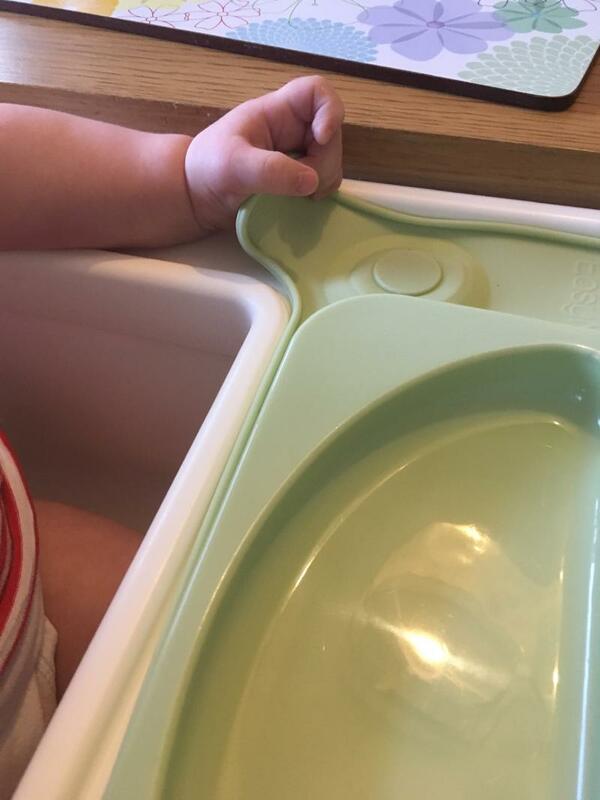 It holds suction onto the highchair really well and has a good space for food. It is super easy to clean too! It comes with a spoon which is handy. One downside it is doesn't have space for a cup which would have been helpful. 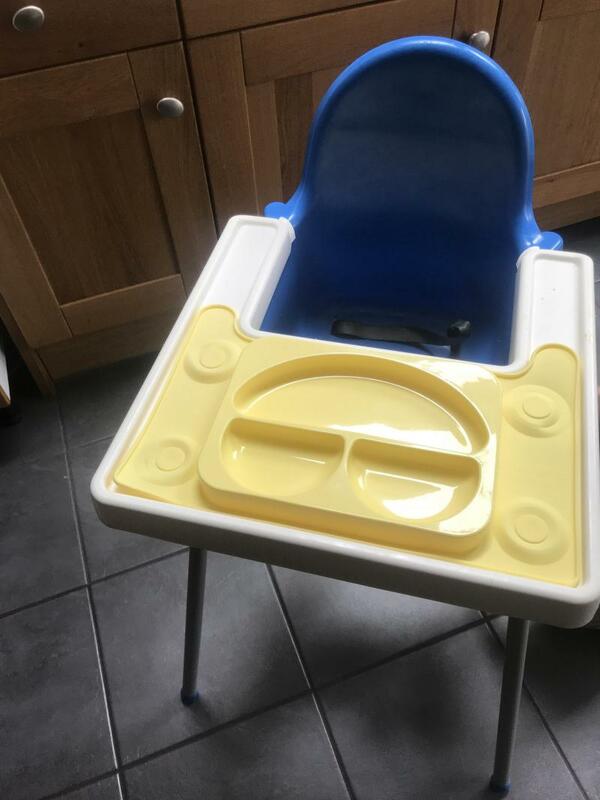 Also it was sold to me as being the perfect fit for the Ikea Antalope high chair but it isn't quite a perfect fit and overhangs a bit. Still a good product that stops bowl being thrown to the floor! 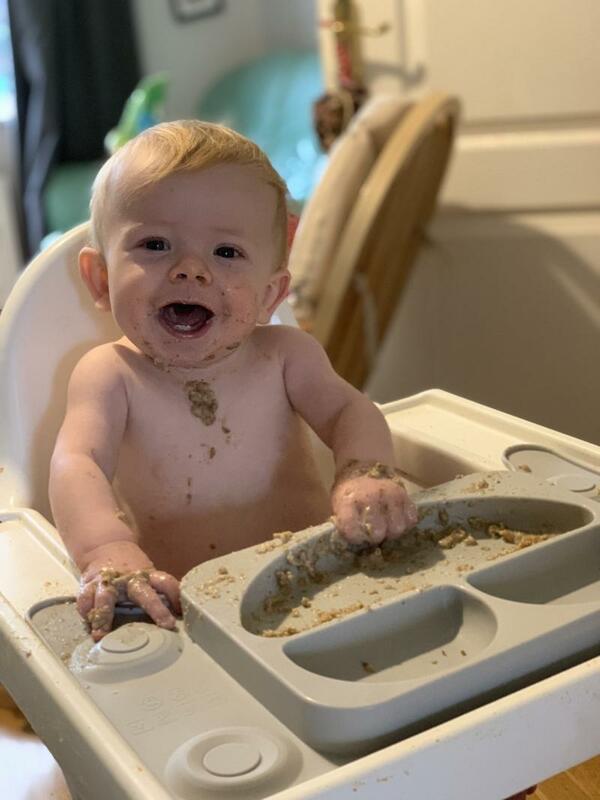 I do however think it is more suited to younger babies who are weaning rather than toddlers as I found my toddler could still pull it off of his high hair. 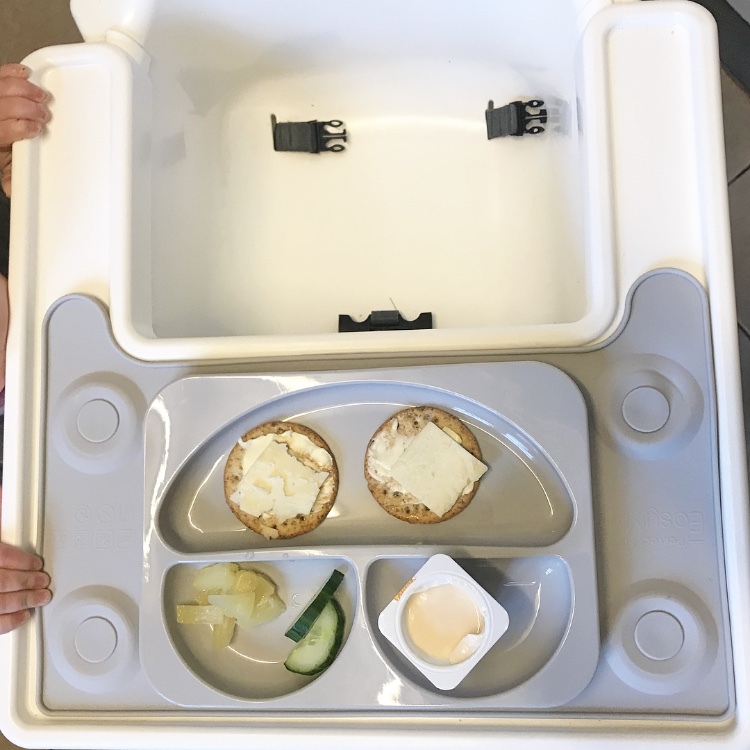 I like the fact that it is super easy to clean and think it’s a great idea for BLW with the different sections to offer different foods. When that bad boys stuck down it not going anywhere. Really easy to clean and doesn’t stain with bolognaise type foods. This product has saved my sanity. Good to take out to restaurants too and helps keep the mess at bay! This is a fantastic product, ideal for those doing BLW or with messy toddlers! 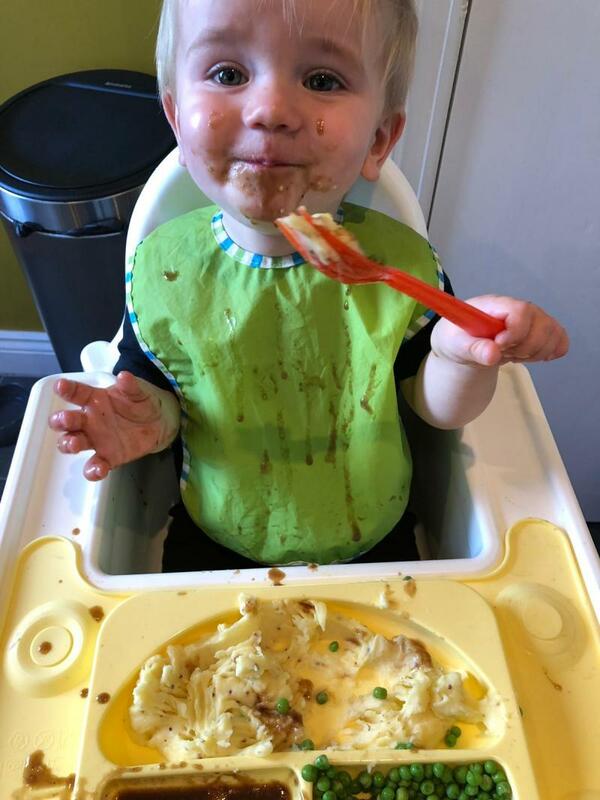 The easymat is designed to fit perfectly on to the antiplop Ikea highchair and covers the whole surface, leaving no room for messy spillages! The mat itself has several sections which makes it great for separating foods. 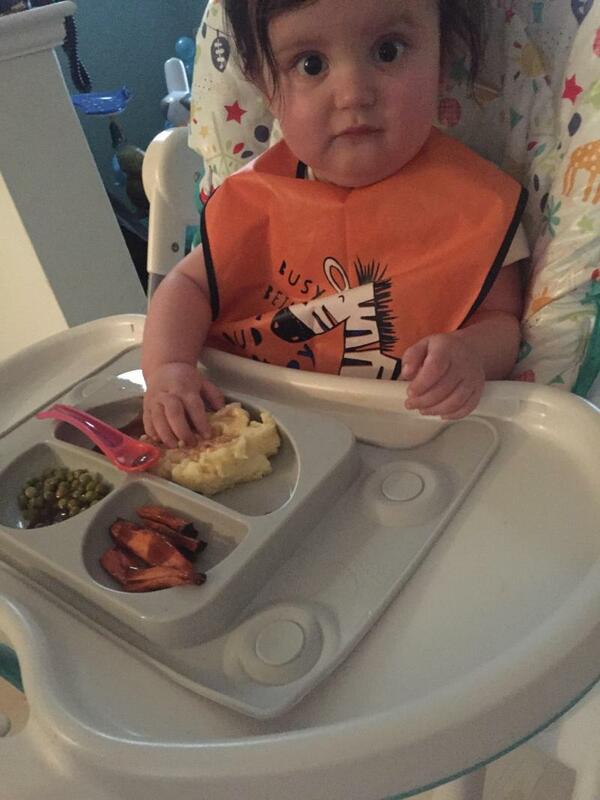 My son loves it as he can pick and choose what he eats and isn’t overwhelmed as there is clear separation. It has 4 suction pads which mean the mat can’t be pulled off and chucked onto the floor. They work really well and my toddler hasn’t managed to pull it off once. My only slight niggle would be there is nowhere to put a drink...but we simply balance it on the side so this isn’t really a problem! I would reccomend this product! A great purchase. When I first received this I was a bit unsure of it goodd work as it doesn't stick in the middle (it has two suckers on each side) and it is very flexible material. However after a few weeks use I am totally won over. 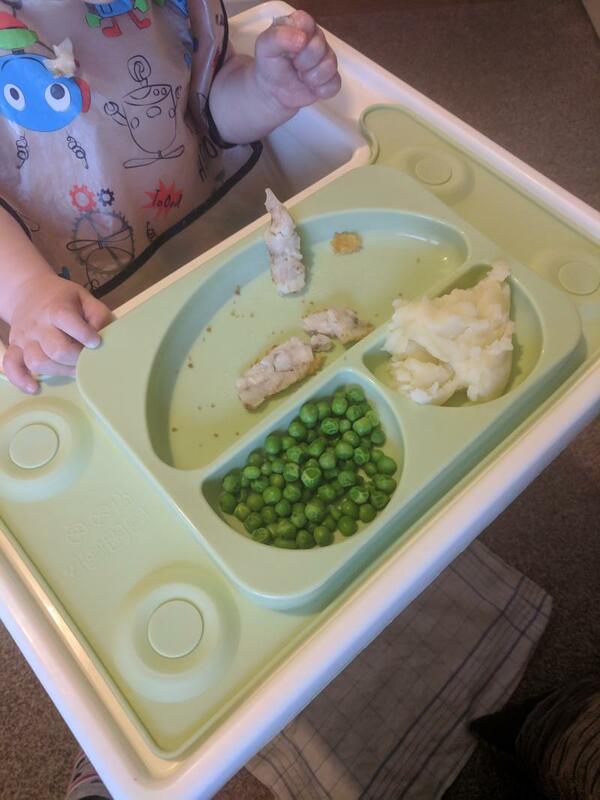 My 10mo can if the middle section about a bit but the 4 suckers have stayed put at kept the plate attached! The mat fits perfectly on the antilop ikea highchair which makes cleaning up so much faster and easier. Although my lg hasn't been able to get the mat off it is easy for the parent to remove and hasn't resulted in leftovers flung across the kitchen. I was unsure about the light colour (pale yellow) but after numerous tomato based dishes there is no orange staining. I usually hand wash it which is really easy to do but it has also survived the dishwasher a couple of times. The only slight downside is that it doesn't leave much space to put a cup but my lg usually keeps in on her lap anyway. my little one loved this mat, he took more interest in his food and ate more than he usually does we usually have alot on the floor. it is made for the Ikea highchairs which it fits perfectly but we also used it with a low chair and stuck it to the table. 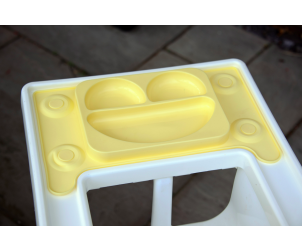 Given the opportunity to remove a silicone high chair mat made for my high chair I jumped at the chance. 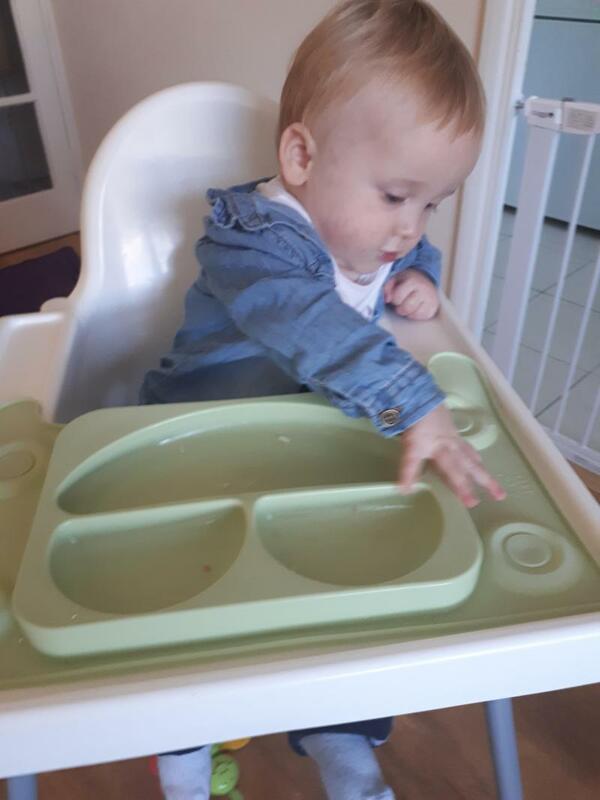 My daughter has decided she is now going to eat independently which is great but the mess on the tray was getting too much and slowly dying our white highchair a lovely shade of orange. The mat easily fits the tray with four silicone sucky bits and it’s easy to get them off when you know what to do. The great to be able to just take the whole tray off and whack it in the dishwasher ready for the next use. It’s washed really well and imagine this will continue. 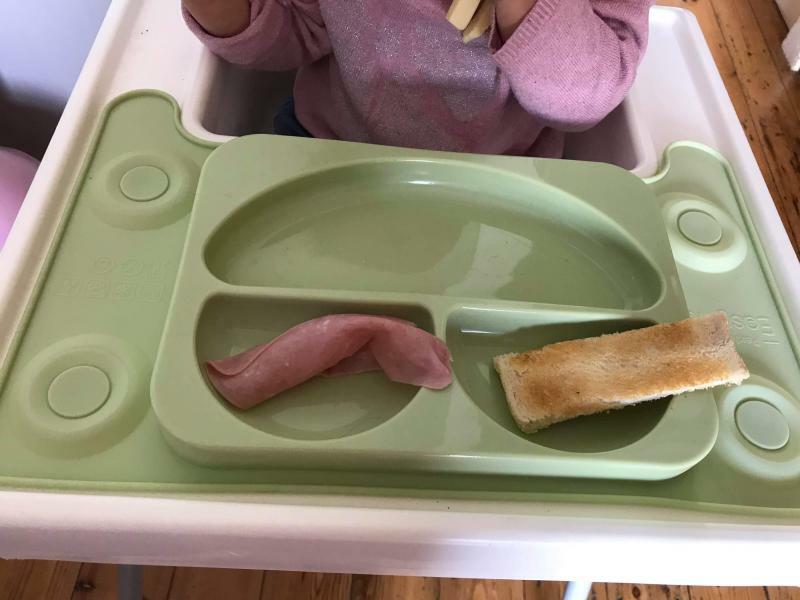 The only negative I can think off is the price seems a bit high for what it is and that because of the where the sucky bits are my daughter can pull the tray up but thankfully not remove it. All in all a great little products what has really helped meal times. 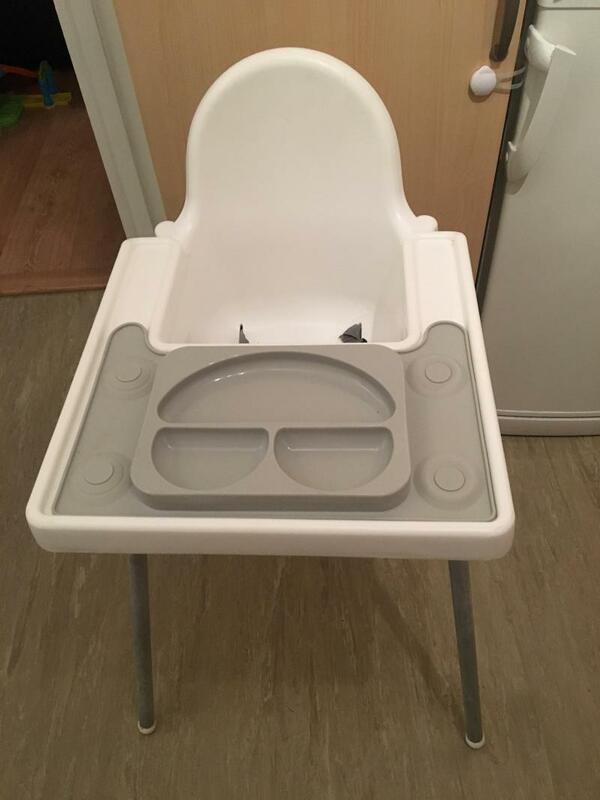 Our Ikea High chair broke so I was disappointed thinking that I couldn’t use this easy mat! But ! 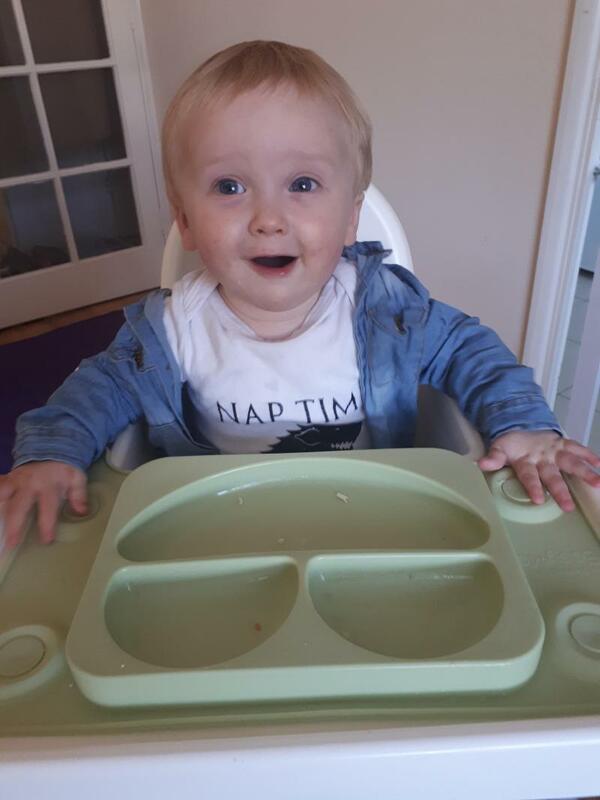 It is great on his new high chair it also sticks to our dining room table which is great too! 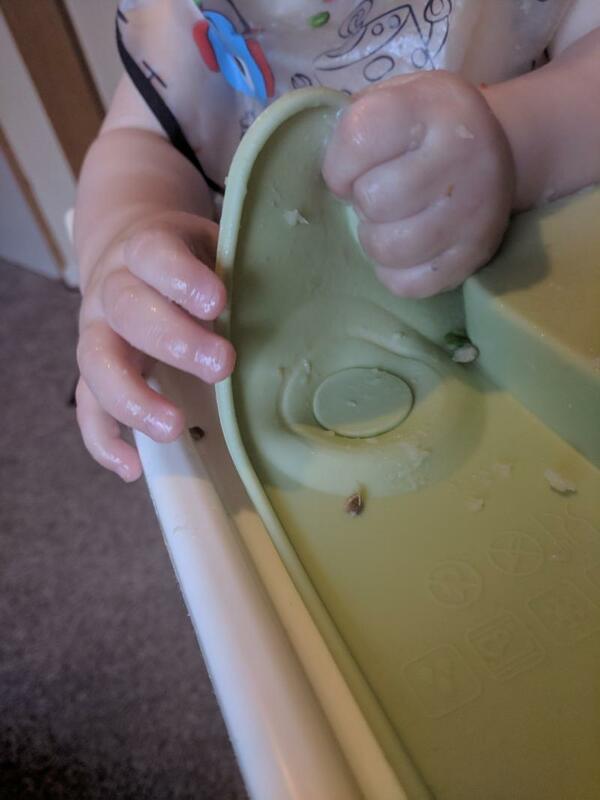 It’s very easy to clean and perfect for BLW the different sections! I think it’s a bit expensive though as your basically paying for a plate! I received this product to trail and absolutely love it. Each part is an ample size and fits all the food I would normally serve. It washes beautifully both by hand and in the dishwasher. The material is thick but it still folds easily if you want to take it out and about I love how well it sticks to the Ikea highchair and my little boy loves playing with the sucker parts but no matter how hard he pulls them they never come off. My only criticisms is that when we took the product out to test in a restaurant it wouldn't stick probably to the wooden table. This is an absolutely brilliant product and is a must have if you have the Ikea antilop highchair. The mat fits securely on the tray, even though my little boy did his best to take it off it stayed in place no problem due to the suction cups. 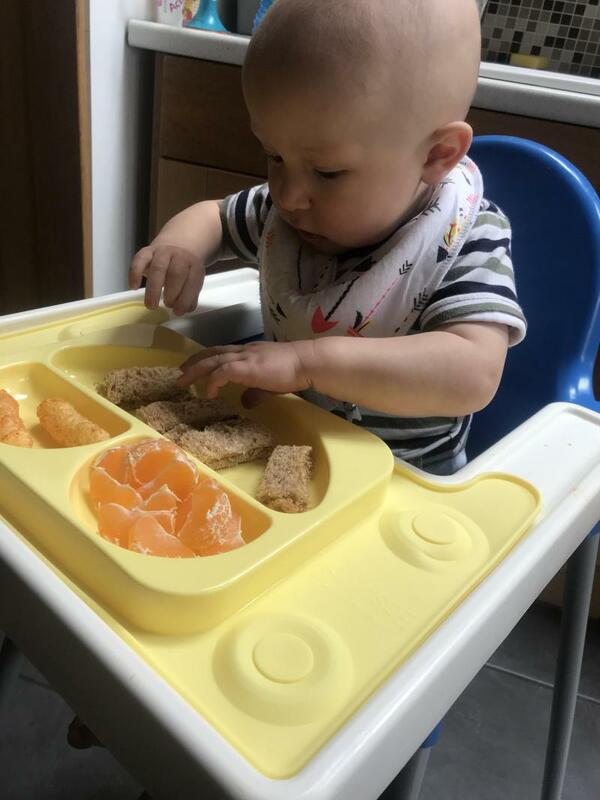 My little boy loved the different sections meaning his food could be separated as he can be fussy at times when certain foods are together so we loved that! Very easy to clean too and definitely practical. The material it is made from is great and so easy to use. I will definitely be recommending to my family/friends for their babies. Great for little ones who love to feed themselves and less mess too. Received this, and used it straight away- I love it! It is silicone, meaning it is extremely easy to clean, wipe and dry, not only this but you can bake recipes in the oven in the mat! We made porridge oats and chucked it in the bowl section and baked it, it's amazing! The little suction buttons are to be pressed down, and when my boy tried pulling it off, he failed! Yay! 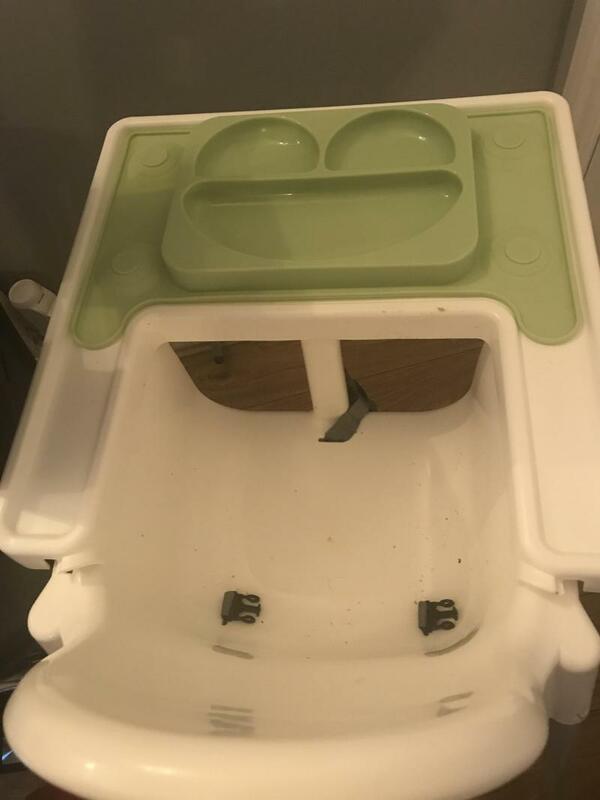 Received this to trial and absolutely love it, fits my sons ikea highchair and it stays in place which is great compared to other products on the market I have tried. It’s dishwasher proof/ hot food proof and a good size for blw! I like the style and the ease of taking it with me to restaurants or other houses. 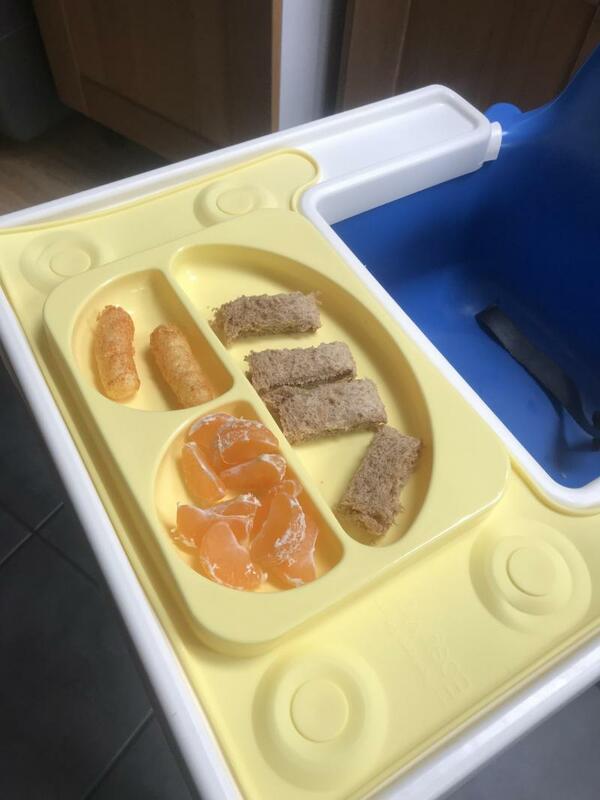 It comes in different colours and sets out the food nicely and my son loved it. 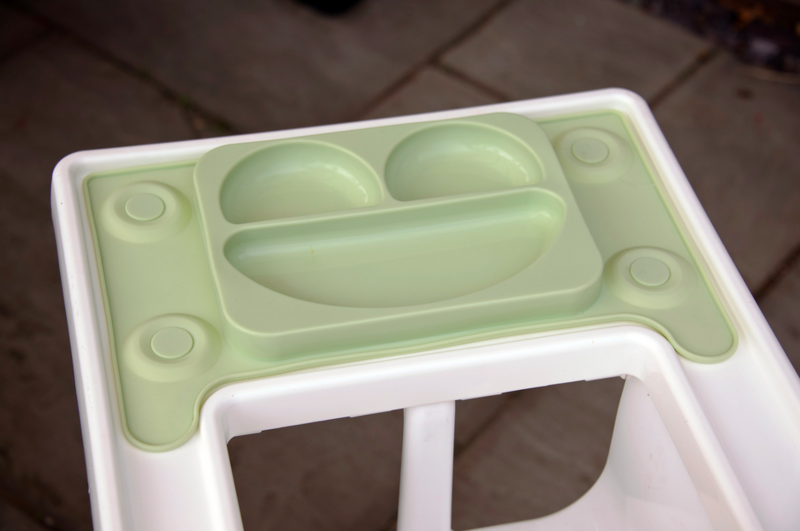 This is a must have for baby weaning when using an Ikea antilop highchair. My son loves using it. Although he’s tried to peel it off the chair, the suctions don’t allow him to succeed, meaning a little bit less mess. 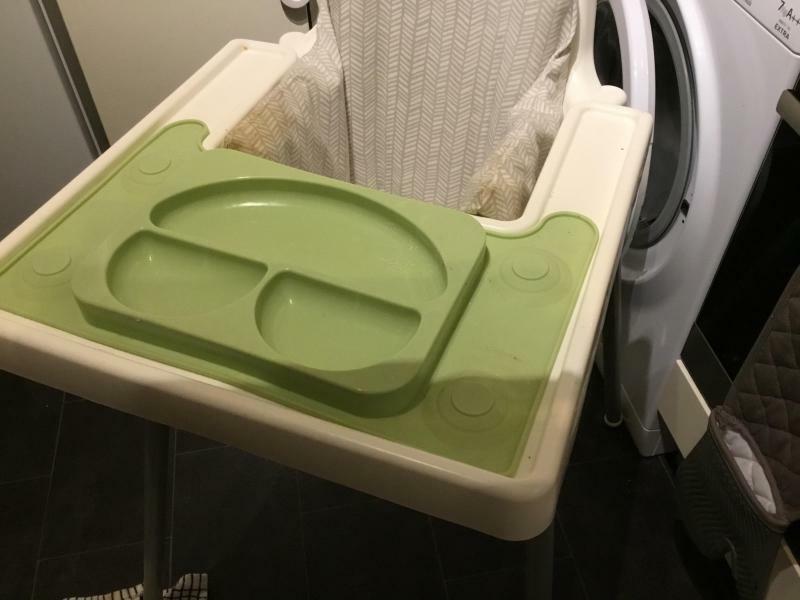 The product is also easy to clean ( can be popped into the dishwasher) I would 100% recommend this mat to anyone who has the Ikea high chair and is wanting to feed the BLW way. It definitely promotes self feeding too. 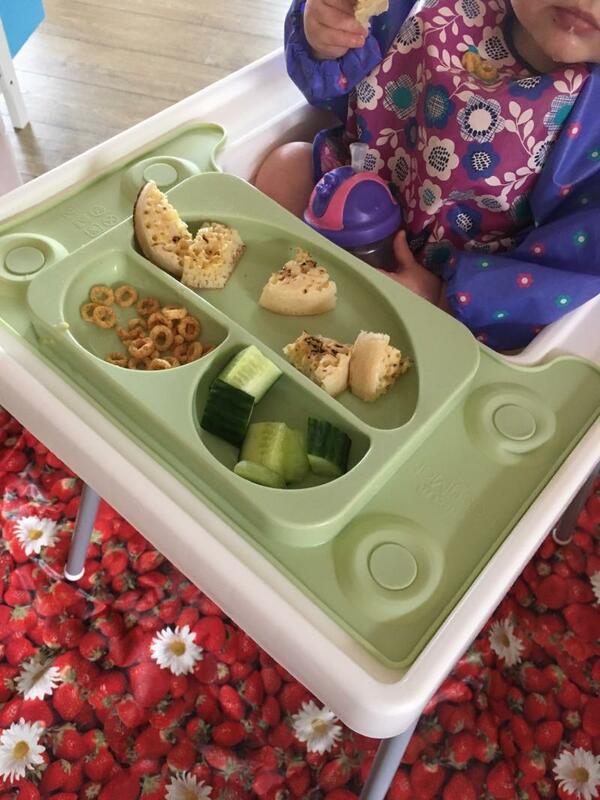 We have enjoyed using this mat for the last few days, it has a good suction which has made it difficult for my toddler to remove the mat from his high chair tray and throw his food on the floor! 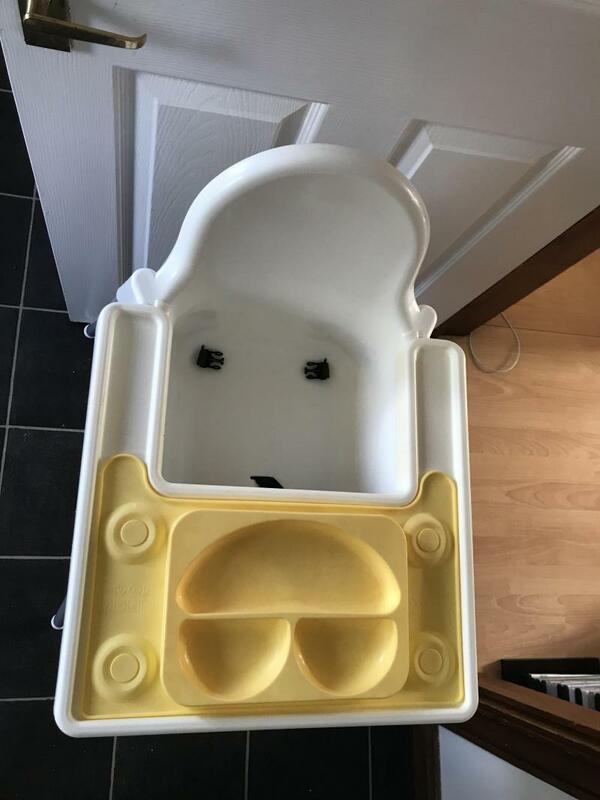 It’s fits perfectly on our IKEA Antilop high chair. I feel the price of £15.85 is perhaps a little steep as essentially you are paying for a plate, however it does do the intended job so it is worth it. 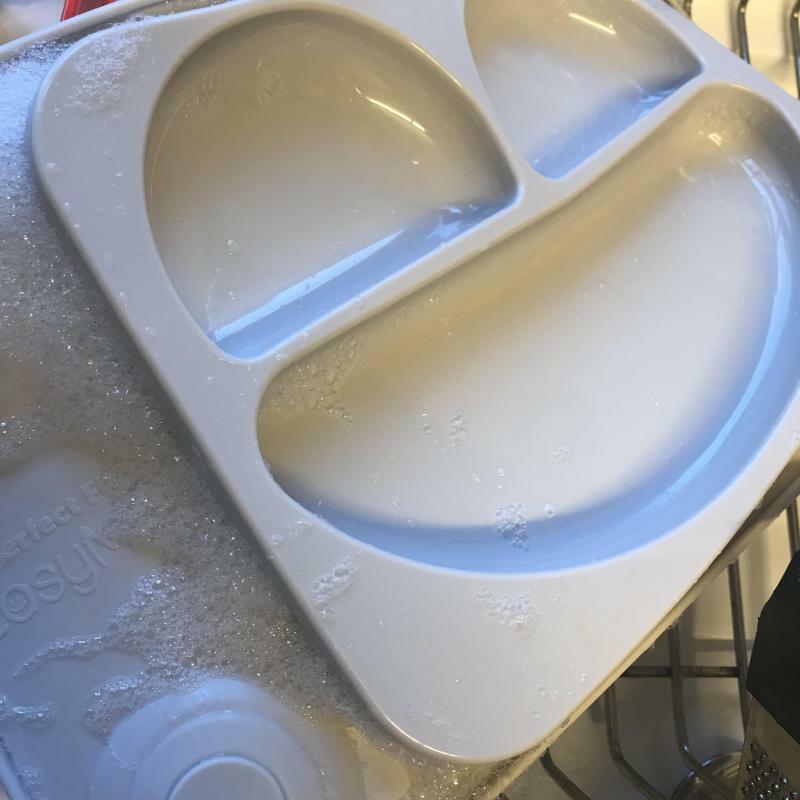 I found it very easy to clean, just washed it in the sink along with our other dishes, it didn’t even stain after my son ate lasagne from it! I like that you can separate different components of the meal- this is especially handy for lunches as I often give the kids a picky/snacky lunch. It is easy on the eye and looks very modern. Overall I am very please with it and would recommend! I have a few plates and bowls that has suctions and my girl pulls it off with one hand! But this EASYMAT PERFECT FIT the suctions is so strong that even i struggled to pull it off. 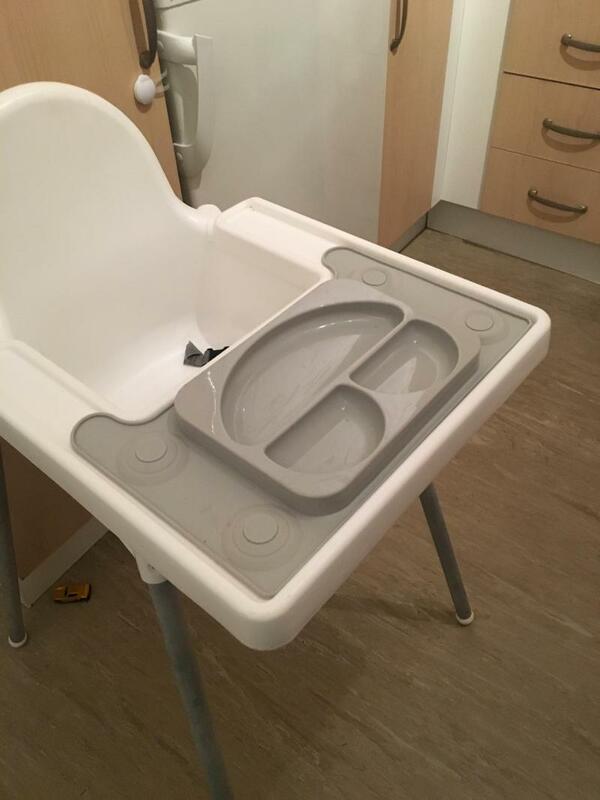 Perfect portion sizes for the food and love that it fits on an ikea highchair. What i also love about this plate is that i can take it with when we eating out at restaurants as most restaurants have ikea highchairs. If not it can fit onto a table. Overall absolutely worth every penny! I received this product to test and thought it was great! 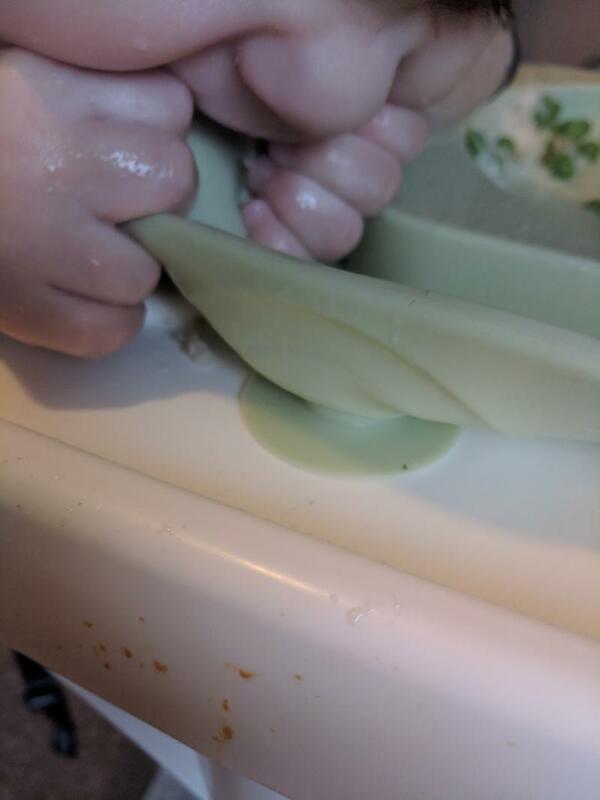 My 1 year old tried his hardest to get it off the tray but it wouldn't budge; I did wonder how hard it would be for me to get it off but it was super easy. 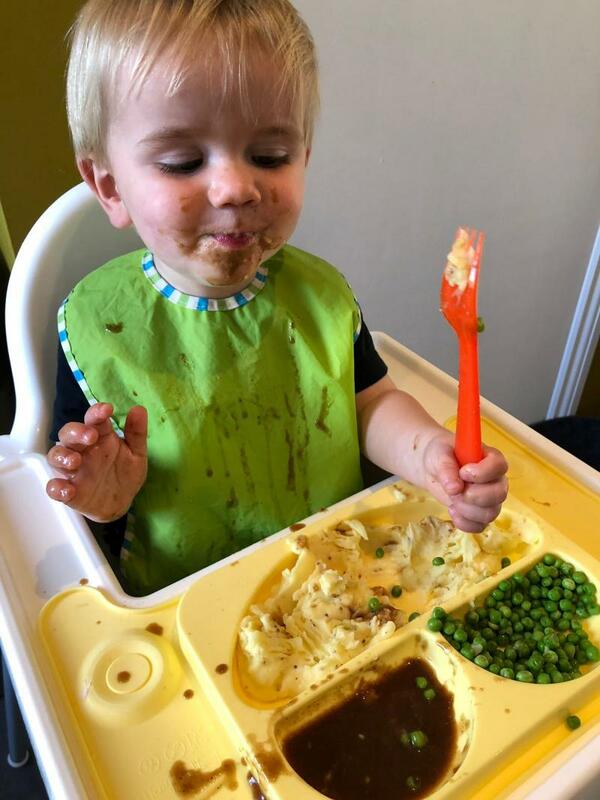 I find it much better than a plate as my little boy throws his plate off where as he can't with this which also means less mess!! The sections are good sizes also. I would 100% recommend this product to anyone that has the IKEA highchair. I was really impressed by the easy mat. I really like the ikea high chair but always felt there was something missing- the easy mat certainly fills that gap! The mat fits the table perfectly and easy to put on- simply place it and push down to secure. The mat really does stay stuck on- my son was giving it a good pull and tried to chew it but it didn’t go anywhere! 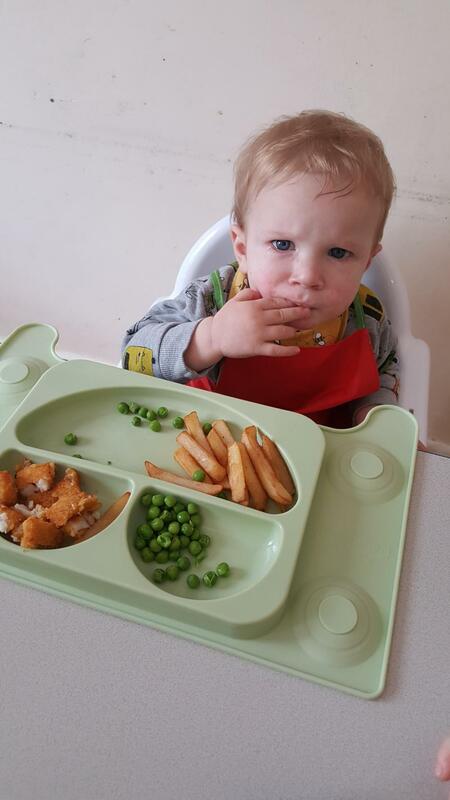 The compartments on the mat meant I could put out my sons meal and it was lovely to watch him independently choose his food and feed himself. Once he was finished i could remove it and clean it with minimal effort. One issue with it is the mat doesn’t leave space for a Beaker. Also food can get underneath so it will need removing and cleaning each time. 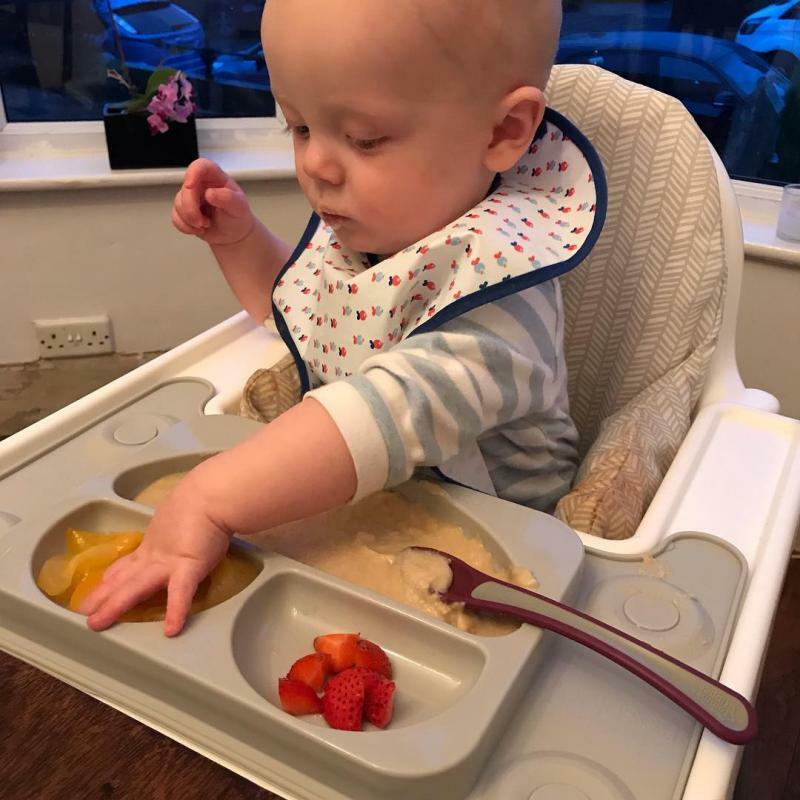 Overall I think this product is a really helpful tool in helping baby learn to feed themselves and does appear to minimise food getting everywhere. 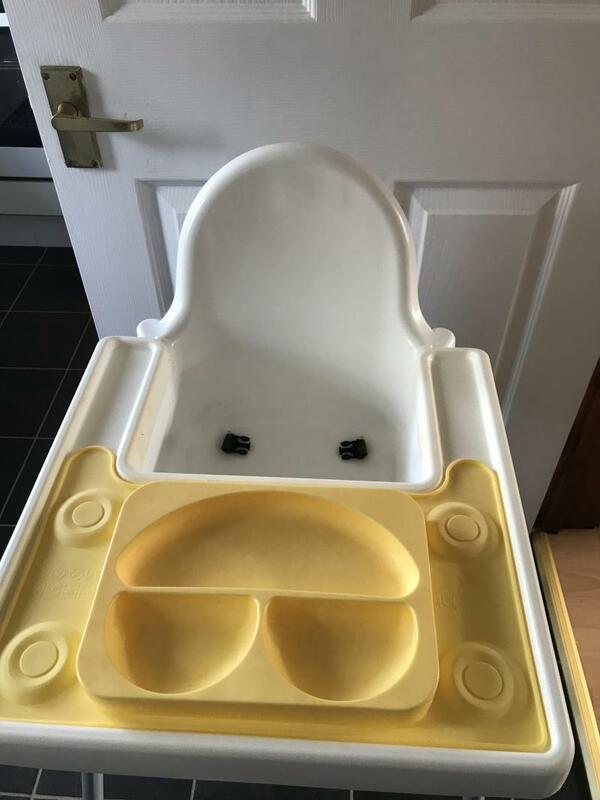 Got this product today and tried it out straight away, it fit perfectly to my babies IKEA highchair and the 4 little suckers on the bottom of it meant even when my 9month old tried to get it off he couldn't because it was stuck securely to the highchair. Exactly what I wanted! 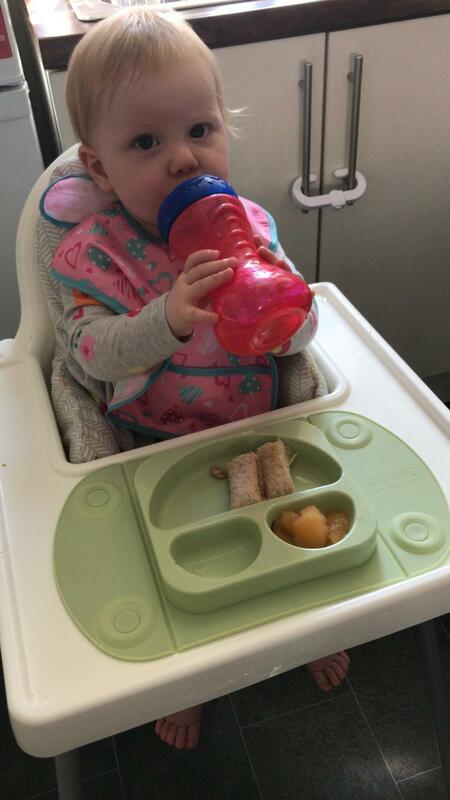 EasyMat Perfect Fit from Easytots: A suction plate and place mat for your baby when your in the weaning period. This mat only fit with the Ikea Antilop High Chair. Snug fit designs means even better suction and even harder for baby to remove.